Little Angel Girl is Miss personality! Loves everybody and everything in her life. She recently found herself looking for a new home and was placed into our foster program. She is a little doll, very playful and loves life! Angel Girl met her new family, her new little brother is learning to be comfortable around other dogs after a recent tragedy that affected his confidence. Angel Girl’s innocence and sweet personality made him feel at ease soon after meeting…..she is a great little therapy dog – your troubles are forgotten when you meet Angel Girl. Thanks to everyone who made this Happy Ending a reality! Ferrah found herself out of time in a high kill shelter. Thanks to one of our volunteers, she was pulled in time and moved to our foster program recently. 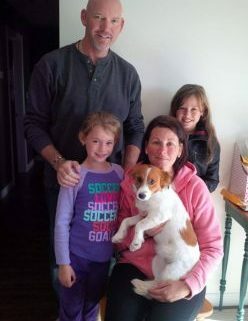 Ferrah met her new family who adore her already! She will be going to work with her new mom and helping out at the office! This little girl is home now and has no more worries of being homeless. Thanks to everyone who made her dream of a second chance a reality! Sindy found herself homeless and in a high kill shelter. She has personality plus and charms everyone she meets! She was placed into a foster home and her foster family fell in love and that was it! She has made herself right at home and is happy as a little clam. 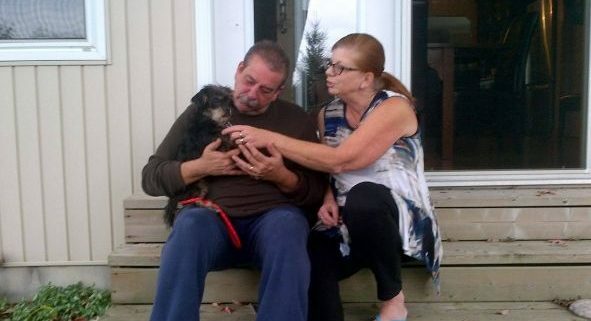 Thanks to everyone who helped Sindy get her Happy Ending! These tiny senior girls were being rehomed to make room for a puppy. Thankfully one of our rescue friends contacted us and there was no thinking about it, they were coming to our rescue. Blessin’ and Godiva are adorable little ladies, they deserve to have long happy lives and that’s what we hoped to do for them. 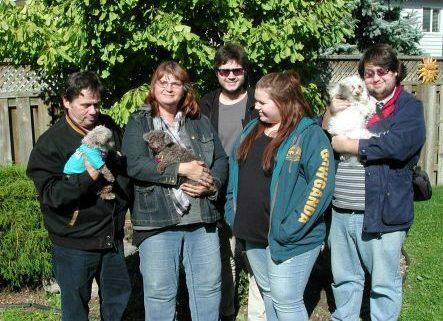 They meet their new family who all adored them from the minute they met. There are many arms and lots of love coming their way for the rest of their lives. We are all very happy for these little girls. Thanks to everyone who helped them get their second chance! Little Joe found himself looking for a new home a few months ago. Thanks to our volunteers, he came into our rescue and avoided being advertised as a “free to good home”. We don’t know what his background is, he is timid when he first meets and nervous. 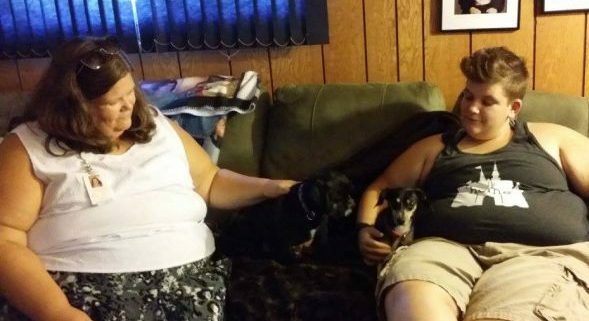 His new family fell in love with him and have lots of patience to help Little Joe get through his insecurities. And he has a new little buddy who was so eager to be his best friend right away. Little Joe has a wonderful life ahead of him, we know he will understand that soon enough! Thanks to everyone who helped him get his Second Chance!